It’s good to know that you have a personal injury attorney to stand by your side when something unexpected happens. While you don’t need a legal expert for every fender bender, you’d be surprised how often the involvement of a lawyer increases the payout the insurance company is willing to offer. If you’re not sure whether legal assistance is needed, you can always get a free consultation to find out. In the meantime, here are some pointers to serve you as a guide. 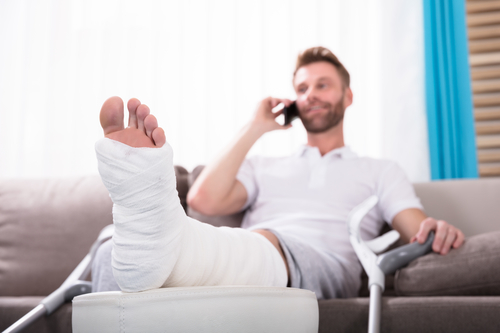 If you have suffered severe injuries, you’ll want to make sure that the insurance company is offering adequate compensation. The severity of your injuries is usually measured by the type of injury, the length of recovery time, and the amount of medical expenses you have incurred and will incur in the future. Generally, traumatic head injuries and permanent injuries are considered more serious than a simple fracture. Nevertheless, even a broken leg can take weeks to heal. You may spend a considerable amount on x-rays, pain medication, and physical therapy. Additionally, you may not be able to work. Medical bills can quickly skyrocket. If you don’t have health insurance or if your insurance doesn’t cover your medical bills, you have a financial crisis on your hands. It’s enough to embark on the long road of recovery from an accident without having to worry how to pay for the medical assistance you need along the way. Your medical expenses include the cost of emergency responders and the initial evaluation and treatment of your injuries. There may also be additional costs related to the injury, such as physical therapy or pain medication. Depending on the type of injury, you could be incurring medical expenses for the foreseeable future, which must be paid for. Naturally, you have to go to work in order to get a paycheck. If you don’t put in the hours you normally work, you can’t expect to receive the salary you need to pay your bills and provide for your family. An accident that leaves you unable to work for a few days can put a serious dent in your budget. However, if your injuries keep you off your feet for a few weeks or longer, you may even be facing financial ruin. It’s important to make sure that your compensation includes lost wages for the time you’re unable to work. Additionally, if your injuries require you to switch professions, your personal injury attorney will make sure that your finances don’t have to suffer because of it. The agents at the insurance company understand which costs you’re facing when you’re seriously injured. Nevertheless, they want to remain profitable and keep their payouts as low as possible. Therefore, it’s not unusual for accident victims to be offered a seemingly high sum that doesn’t adequately cover the costs associated with your physical injuries. Before you accept a settlement offer from the insurance company, you should discuss it with an attorney. While it’s possible that they’re offering you a fair amount, there’s an even greater chance that they’re trying to lowball you. Your insurance provider may also have some wiggle room in regards to your claim. However, most people don’t know that it’s possible to negotiate a settlement claim. Your attorney has experience in working with insurance companies. If you or a loved one were the victims of medical malpractice, a personal injury lawyer is the right person to talk to. Medical malpractice claims have statutes of limitations, and it’s important to act in a timely manner. Otherwise, you run the risk of losing your claim altogether. Additionally, it takes a lot of time to research a medical malpractice claim. Therefore, you should consult with an attorney as soon as possible. If you were injured in an accident or at the hands of someone else, the last thing you might think of is calling a lawyer. However, once your immediate medical needs have been met, it’s important to retain legal counsel to protect your rights and negotiate a fair settlement amount. If you have questions about your case, the team at The Harr Law Firm is happy to review it for you at no expense to you. Give them a call or use their contact form to get in touch!